Five decades ago, Tianjin saw the first batch of high-quality residential buildings in Hexi district and the area was called "Badali". "Ba" is known in English as eight and eight residential communities - Hong Xing Li, Hong Sheng Li, Hong Xia Li, Hong Shan Li, Shu Guang Li, Hong Guang Li, Jin Xing Li and Guang Ming Li were established at that time. After 50 years of development and with more and more commercial properties, cultural and entertainment, education, healthcare and other facilities built in Hexi district these high-end properties of the past became less functional, less comfortable and were viewed as being out-of-date. As a result, the government planned to start demolishing Badali's buildings and renovating the area in 2012. Two years later, eight land plots which are right across Jiefang South Road from Badali were put up for sale with the objective of establishing a "New Badali". 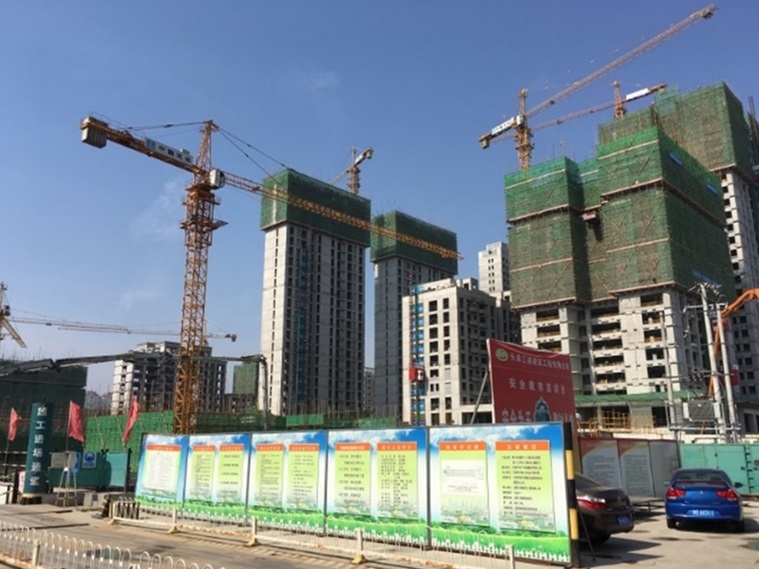 As of today, five domestic developers have purchased six of these eight land plots with the intention of building a new commercial and residential center in Hexi district. Although it contains large tracts of traditional housing and commercial retail projects, such as Shu Guang Li market, Badali is no longer able to meet people's demands for a better quality of life. Five well-known domestic developers have now been developing the New Badali area in Hexi district since 2014. Development of New Badali will highlight this traditional area not only with regard to accommodation but also with regard to other sectors of commercial real estate such as office space, retail space and so on. Residential space will form the largest part of New Badali development (approximately 35% of total GFA for New Badali). 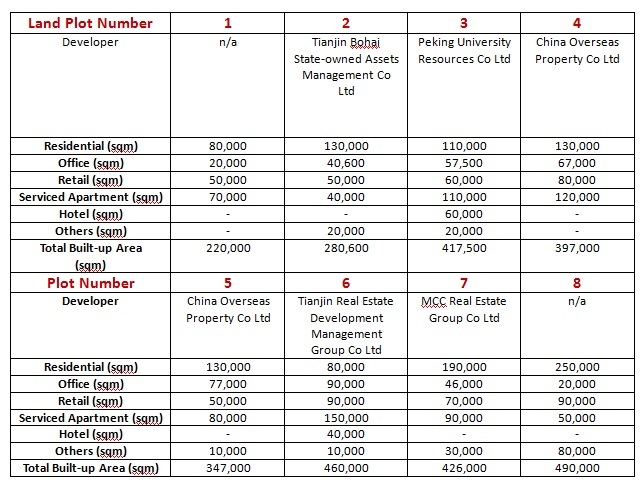 Total residential GFA (gross floor area) will reach 1.1 million sqm in eight land plots. Residential projects are under construction on land plots 2 to 7 and the first 5,130 units should be completed by end-2017 with another 2,400 units expected in 2018. 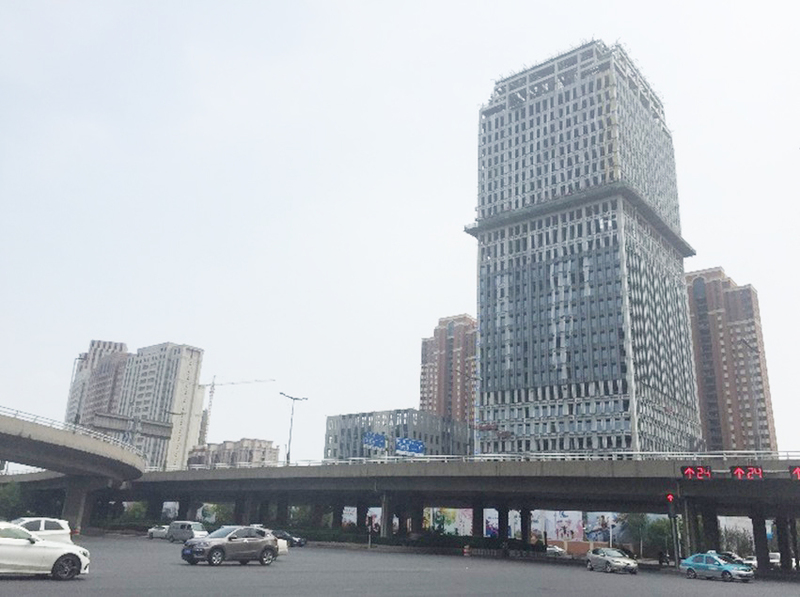 In the office sector, seven high-quality office buildings are expected to enter the market by 2019 and an office building developed by Tianjin Bohai State-owned Assets Management Co Ltd will become the first to enter the market in the first half of 2018, thus adding 40,600 sqm to the Tianjin office market. New Badali is around four kilometers from Youyi Road business area and three kilometers from Chentangzhuang business area. 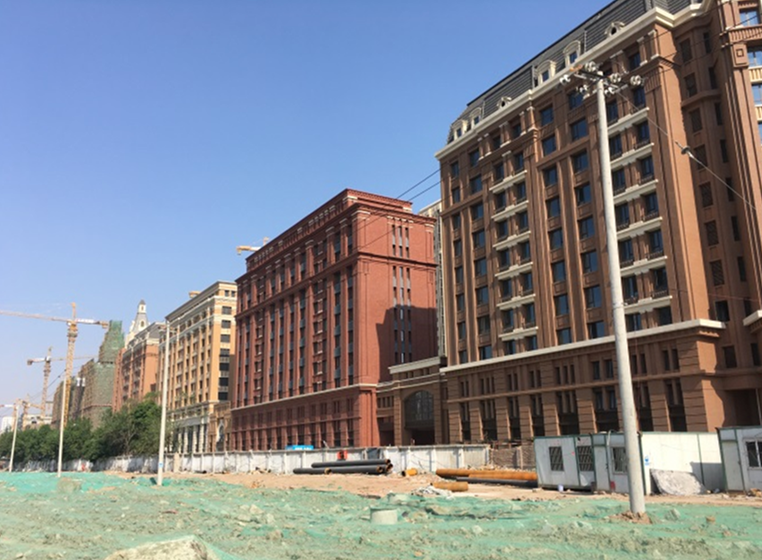 As we continue to track Tianjin's real estate market, we find that no new high quality office building entered Youyi Road submarket after 2014 and that the two aforementioned areas are dominated by old Grade B and Grade C buildings. High-quality office buildings in New Badali will provide more options for tenants who are looking to upgrade their office space. Several department stores and shopping centers such as Friendship Department Store, Galaxy International Shopping Center and Ele Life Center are located within three kilometers of New Badali. So the large area of new retail property in New Badali will have the benefit of many new residents but will have to compete with the already established nearby retail area along Youyi Road. New Badali is located on both sides of the Heiniucheng Road and on the west side of Jiefang South Road. This convenient road network provides easy access to areas west of New Badali such as to The Tianjin Cultural Center, Tianjin Olympic Center and Tianjin Water Park areas, all of which lie within a 15-minute drive radius. 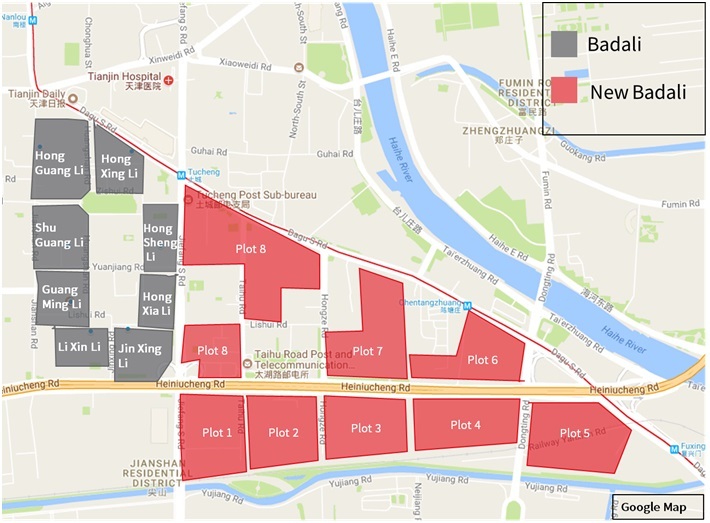 Access to north of New Badali, to such areas as Nanjing Road-Xiaobailou CBD takes only eighteen minutes by car and access to Jinbin Avenue, one of the main access routes to the Tianjin Binhai New Area, takes twelve minutes. Beginning in 2000, the local government invested heavily in constructing metro lines that ran through the greater part of Hexi District and New Badali will also benefit from this. People in New Badali can easily access Tucheng Station and Chentangzhuang Station on Metro Line 1 which opened in 2006. Metro Line 6, Phase 2, which is under construction and is planned to open by end-2017 can be accessed by the Heiniucheng Road Station in the area. Apart from this, Metro Line 8, construction of which should start in 2018 and be completed in 2023 and Metro Lines 10 and 11 which are in the planning stage, will also open stations in the New Badali area. It is estimated that almost 380,000 sqm GFA of office space will enter the area by end-2019. If all this office space and residential buildings are taken up, we estimate an additional 25,000 people employed in the area along with 6,500 families and traffic congestion might become a challenge. However, with constant advances in the development of public transport, any such future challenge is expected to be overcome. In addition to New Badali in Hexi, new geographical centers have emerged in succession in multiple districts of Tianjin. For example, West railway station area in Hongqiao district is trying to become a modern business centre integrating top-grade companies in multiple fields, including retailing, entertainment, hotels, trading and logistics. This is in addition to new developments in Binhai and many other areas around the city. More people in Tianjin will benefit from high-quality residential accommodation, larger office space, premium shopping centers and department stores and better public infrastructure.